Today we’re announcing a partnership with one of my favorite companies: Semplice. 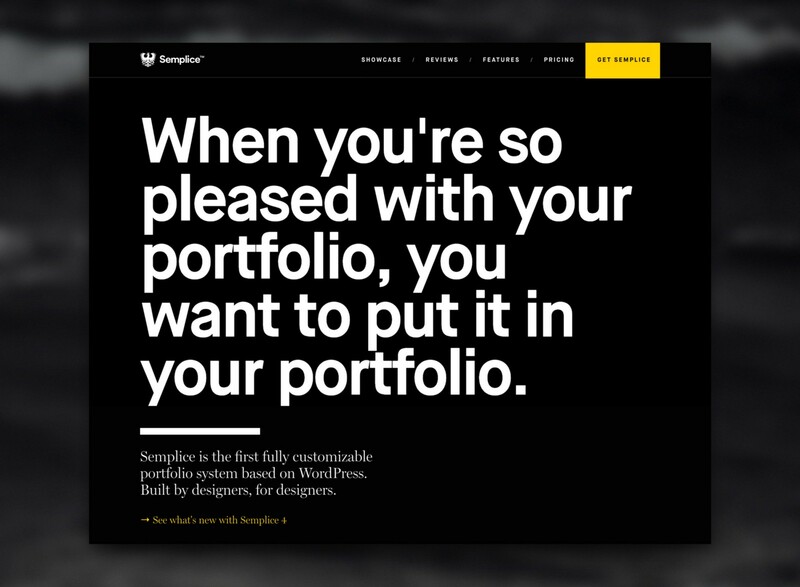 Semplice makes it simple for designers to make beautiful online portfolios without writing any code. It’s also the first fully customizable portfolio system based on WordPress. Since its launch in 2014, Semplice has quickly grown into one of the leading portfolio systems for creatives. Designers from HUGE, BBDO, Tumblr, Disney, Apple, Firstborn, Unit9, R/GA, Razorfish and many more already call Semplice the home of their portfolio. 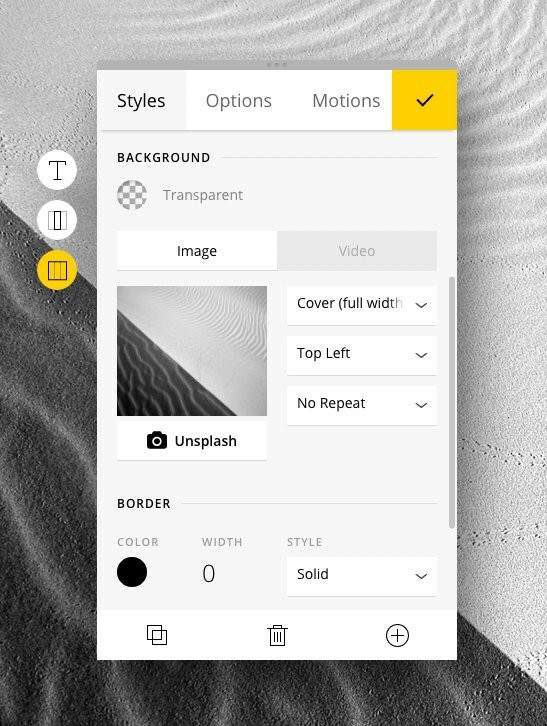 To help visual creations standout, the entire Unsplash photo library, 500k+ photos and counting, is now available in Semplice. One thing we love about Semplice is how focused they are on doing one thing really well. One of the mistakes of many companies, especially ones that help people build websites, is they try to offer too much in an attempt build a more lucrative business. Oftentimes, this results in overly complex systems and design. Semplice meanwhile, hasn’t tried to build a system for every kind of website you might want to make. They have a singular focus on enabling creators to beautifully showcase their visual work online. That’s it. Semplice is an independent company built by independent designers. Semplice founder, Tobias van Schneider, has been awarded net magazine Designer of the Year and Awwwards Art Director of the Year. Because they’re designers themselves, Tobias and his team know better than anyone the pain designers have felt forever in making personal portfolio sites. Before starting Unsplash, I was an independent designer. I remember the trouble I had putting together my portfolio site. I wasn’t great at writing code but I still wanted something that felt like it represented me and my work. What I was looking for then, exists today in Semplice. We’re excited and honored to partner with Semplice to enable fellow creators to better showcase themselves and their work with photography from Unsplash. More on Unsplash Partnerships. This partnership with Semplice is part of our continued mission to push the impact of photography as far as we can. Over 1,240 products and companies including Adobe, Trello, CodePen, InVision, Google, FiftyThree, and Medium ;) Support this mission by officially integrating with the Unsplash API. These partnerships enable creative action and serve to recognize and amplify the contributions Unsplash members make.